After the 2016 terrorist attack on the Indian Army camp in Uri in Jammu and Kashmir, Prime Minister Narendra Modi had declared that "blood and water cannot flow together". He was referring to the Indus Waters Treaty, under which India shares the waters of the rivers that flow west from the state with Pakistan. Under the treaty, the waters of rivers Ravi, Beas and Sutlej are reserved for India, and that of western rivers Indus, Chenab and Jhelum are for Pakistan. Now, after the 14 February attack on a CRPF convoy in Pulwama, the situation seems to have become even more grim, with Minister of Water Resources Nitin Gadkari going to the extent of tweeting that India could consider blocking Pakistan's share of the river waters. Dr Uttam Sinha, research fellow at the Institute for Defence Studies and Analyses and author of Riverine Neighbourhood and Hydro-politics in South Asia, gives his insights on the Indus river system. After the Pulwama attack, Minister of Water Resources Nitin Gadkari tweeted about how India could consider blocking Pakistan's share of waters of the Indus river system. This is not a tap that can be turned on and off. We are legally well within our rights to abrogate the treaty, but even if we were to resort to such a measure, it would mean inundating our own areas and destroying large tracts of forest areas. 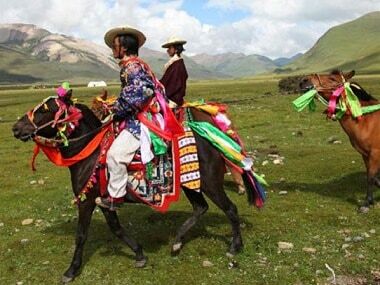 We cannot forget that China is also an important player in this regard because the Indus river originates in Tibet. That is why I say we can punish Pakistan through other means. As a first step, we need to maximise the effectiveness of the treaty. We have 3.6 million acre feet (MAF) of water flowing into Pakistan because we had not created enough storage capacities. So our own capacities need to be improved. That is why I say we need to optimise the treaty before thinking of abrogating it. Ultimately, abrogation will be a political decision. 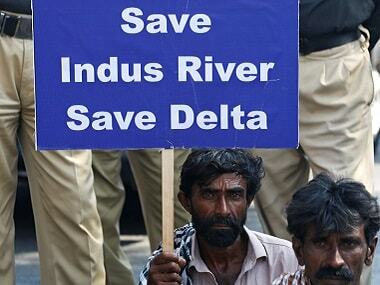 Do you think the Indus Waters Treaty should be done away with? The Indus Waters Treaty has become an albatross, and we remain tied to its provisions that were laid down in 1950. It is a treaty drawn out by engineers and goes into great technicalities. I am studying Pandit Nehru's notes on this treaty, and I must emphasise that Nehru was enamoured by engineers. He had invited the chief engineer of the Tennessee Valley Authority to Teen Murti, and the Damodar Valley Corporation was also based on that. The chief architect of the Indus Waters Treaty was also an engineer. The treaty has 12 short articles and massive annexures. The agreement hardly fits into our present social and political environment and needs a relook. Design concepts of river banks have changed in terms of flushing water. There have been so many developments in this field to ensue better flow, but these can only be incorporated if Pakistan agrees to them. What is the government's thinking of better utilisation of the waters of the Chenab and Jhelum? The western rivers flow through Kashmir. We cannot talk about the Indus because it moves upwards and flows through Pakistan-occupied Kashmir. 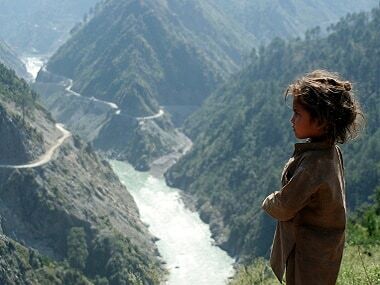 The Chenab is a high-volume, fast-flowing river because of the terrain it goes through. According to the Indus Waters Treaty, we can use the water from these rivers for non-consumptive purposes such as hydro-electricity generation, irrigation and storage, after which the water flows back to the river. India has listed 33 to 36 projects to be developed on these two rivers. The Jhelum is critically important for Pakistan because it feeds its triple canal system (the Upper Bari Doab) and then its water moves to their other canals. Pakistan believes that if we control the flow of the Jhelum, it will adversely affect their agricultural practices. Our focus, at the moment, is on the Chenab. The construction of the Baglihar Dam on the river was completed in 2008. Of course, the project had meant getting into a lot of technical disputes. 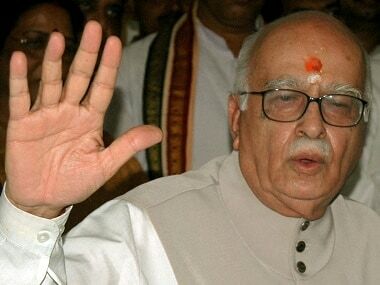 The problem is that Pakistan does not want to see Kashmir being settled, does not want to see Kashmiris happy. They created problems even with the Kishanganga Dam on the Jhelum and took the matter to the International Court of Justice. When you keep delaying a project, costs rise, and it ends up becoming uneconomical and unfeasible. We are now looking at fast-tracking the Bursa and Sawalkot projects. After the Uri attack, we decided to ignore Pakistan's pressure tactics. We will go ahead with our own technical assessment. We have Detailed Project Reports prepared for both the Sawalkot and Bursa undertakings. Are you saying India will ignore Pakistan's criticism of these projects? We are adhering to the treaty. We will allow site visits. Pakistani experts came to India a month ago and went back generally satisfied, at least according to their notes. Of course, when they return to Pakistan, they will give the matter a political spin and change their narrative. But we are treating these as projects of national interest to fast-track them. The financial allocations have been made, and we hope to start work on them very soon. Projects of this size create problems of displacing a large number of local residents as well as environmental issues. We are going to try to minimise both environmental and social costs. The Ministry of Water Resources will be co-operating with the Jammu and Kashmir government to execute the work. What do the Detailed Project Reports focus on? The Ministry of Water Resources has gathered details of land acquisition, deforestation, movement of people as well as cost estimates. Bursa is an 800-megawatt project, and Sawalkot, at 1,800 megawatts, is expected to be the largest hydro project in Kashmir. The cost of both projects will run into several thousands of rupees, and we have looked at their ecological and sustainable impact, as well. We must not forget that Kashmir has the potential to produce 16,000 megawatts of electricity but has been developed to produce only 3,000 megawatts in the past 70 years, from which it gets only 1,200 megawatts. Most of Kashmir's water resources go to Punjab, Himachal Pradesh and Delhi. We have to address this issue. The government plans to push ahead with using navigation facilities for these rivers. 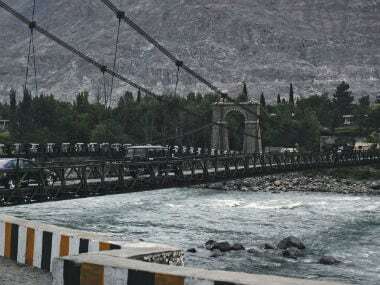 A 22-kilometre stretch has been identified on the Jhelum river to build a 40-feet-wide barrage to ease transport of commodities between Sopore and Baramullah. We call this navigation lock-oriented system Tulbul, while Pakistan calls it the Wullar Barrage. This project was started in 1984 but was halted in 1987. The present government believes navigation is important for our riverine systems, but it was not paid enough attention in the past. Developing a navigation system would help to preserve a river and develop its ecosystem. More importantly, we want to use water to integrate Kashmir into the nation. This project has been lying in cold storage, again because of objections from the Pakistani side. But the situation is set to change. Have we entered a new phase of hydro diplomacy? In the past, our hydro diplomacy with our neighbour has been largely bilateral. But today, China is the big elephant in the room. Look at the Ganga. As much as 47 percent of its flow is transboundary, with important tributaries like the Kosi and the Gandak originating in Nepal. At the same time, however, water has also become a very divisive subject. The Permanent Indus Commission (PIC) meets twice a year and has already met 115 times since the treaty was inked. The PIC meetings were suspended after the Uri attack, though they met twice in 2017. The Pakistani side is allowed to come and see what we are doing on the rivers. It remains to be seen how things will unfold now after the Pulwama attack. Treaties were formulated in the past with a bilateral approach, but we have now realised the need to look at things from a basin approach. The Indus and Sutlej both originate in Tibet. The basin approach would be much broader, meaning wider participation of Nepal, Bhutan, China and Bangladesh. We already have treaties with Pakistan and Bangladesh on water sharing. In both cases, India is the upper riparian State. China has a different approach. It does not consider any engagement on river water. We need to open a dialogue on the water front with China since it is very much part of South Asia and is building two large dams on the Indus and several dams on the Brahmaputra, which are of concern to us.